Mail in Payment with Statement: To pay your ABEVA invoice by mail, simply include the tear-off portion of your statement along with your check. Please make checks payable to ABEVA. Metro Phoenix Bank accepts checks, money orders and cashier’s checks. We also suggest indicating your ABEVA account number on your payment in the memo portion of the check to ensure your payment is credited to your account. Please direct all ABEVA payments to P.O. Box 67848 Phoenix, AZ 85082. Automatic Payment through your Bank: Some homeowners choose to set up an automatic debit through their personal bank. Please contact your bank on how to set up this automatic payment. Remember, it is important to provide your name, ABEVA account number and ABEVA as the Payee. Please make sure to update the payment mailing address to the new address noted above. On-line Payment through PayLease: The online payment site will enable you to make a payment using an electronic check, debit or credit card. 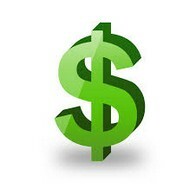 Simply visit www.PayLease.com and select Make a Payment. You can make a onetime payment or setup to pay annually. Please note a convenience fee is applied when using this payment method.